This system takes high quality digital photographs of you in different frames and allows you to compare them side by side so you can decide which is best for you. Patients with stronger prescriptions find this especially helpful. They can take a picture of themselves in a frame and then put their current glasses back on to see the picture and actually see what they would look like in the new frame. The pictures can even be emailed on the spot to anyone you choose if you want their opinion. Now someone can help you choose a frame without coming with you to our practice! The Optikam demonstrates different lens options available to you quickly and simply, allowing you to make a more informed decision before your glasses, It can also be used to take precision lens measurements for accurate lens dispensing. 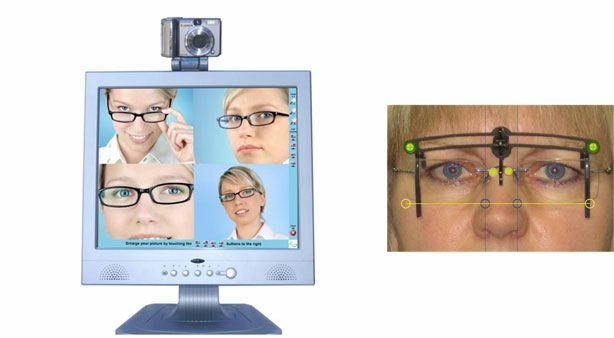 Try the Optikam today and see the difference.